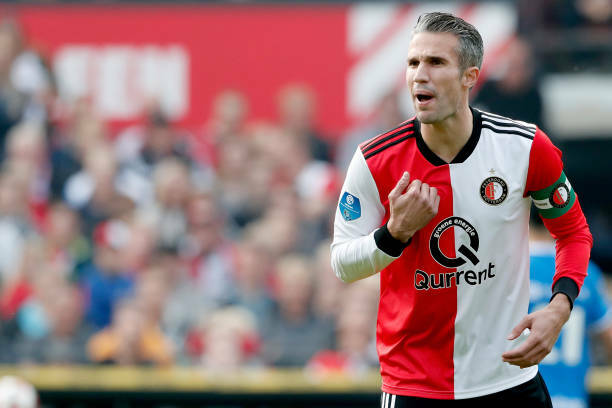 Robin Van Persie has returned to Feyenoord, the club which he started his youth career before moving to Arsenal in 2004. Van Persie won the FA Cup with Arsenal before exiting to join Manchester United. He then assisted Sir Alex Ferguson team to the 2012-13 Premier League title. Van Persie moved from Manchester United to Fenerbahce in Turkey in July 2015 before returning to his homeland in January and helping Feyenoord win the KNVB Cup. In an interview with Dutch media outlet AD, Van Persie confirmed his plans to make the current campaign his last as a player. Van Persie believed he had lost the fun while in Turkey, but hopes to enjoy his swansong back at De Kuip. “I also do not see that my return to Feyenoord is only successful if we take the national title. “When it is successful, That is actually it. “If you look at the whole picture. I had lost the fun at Fenerbahce. That is not how I wanted to end my career, without pleasure. “That pleasure has returned at Feyenoord. I want to win as a football player.